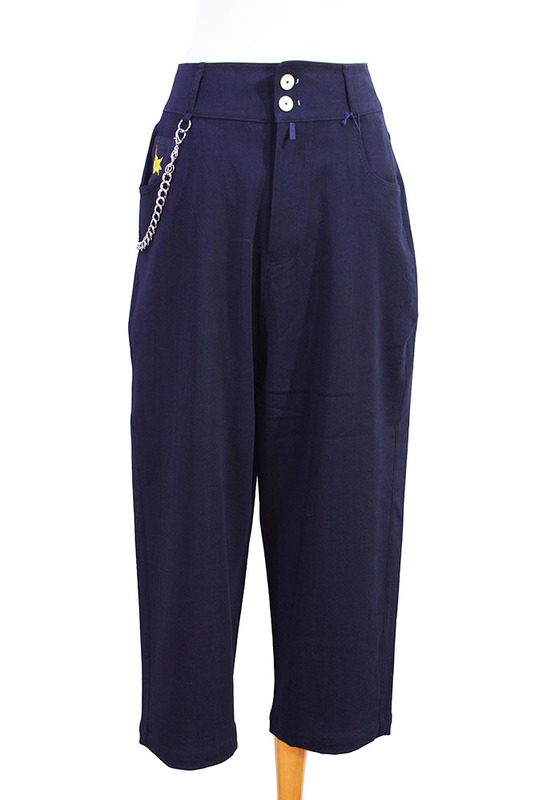 High 'Fair-Play' low crotch, stretch wool trousers in dark blue. 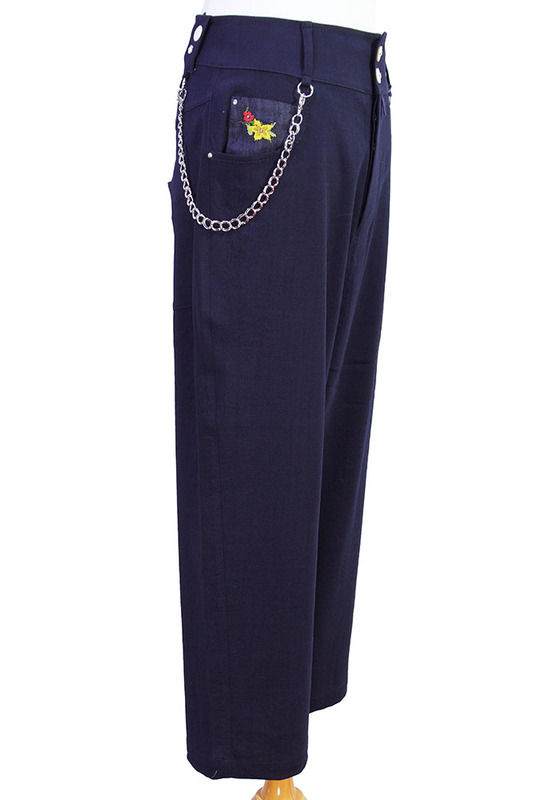 Deep waistband with belt loops and 2 button fastening. 4 button fastening fly with placket. 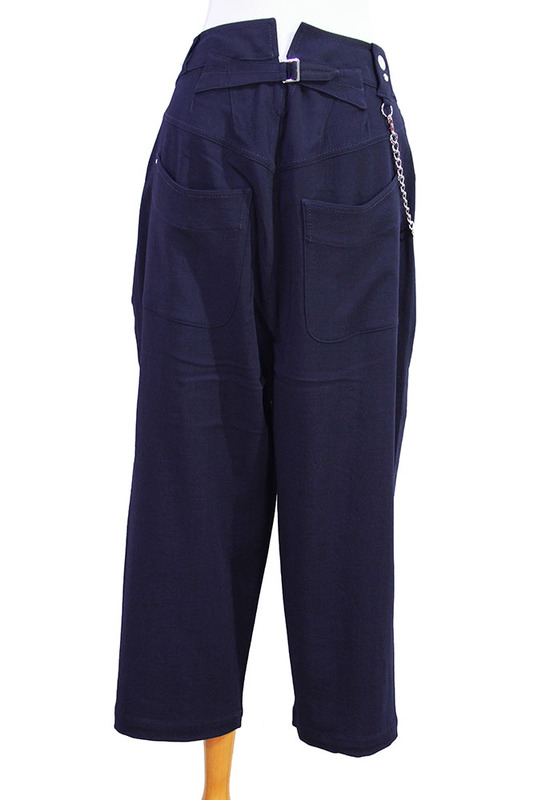 2 rounded pockets, the right pocket has a ticket included in grey fabric with flower embroidery. There is also a removable doubled metal chain, with lobster claw clips. 2 angled rear patch pockets, with stitch and metal stud detail. Higher at the rear with 'V' cut and half belted with metal buckle. Beautiful trousers made to the very highest standards.